Greece has rejected Macedonia’s idea of joining Nato under a provisional title, but voiced good will to restart talks on the name dispute. Greek foreign minister Nikos Kotzias set out the Greek position at a meeting with his Macedonian counterpart, Nikola Dimitrov, in Athens on Wednesday (14 June). 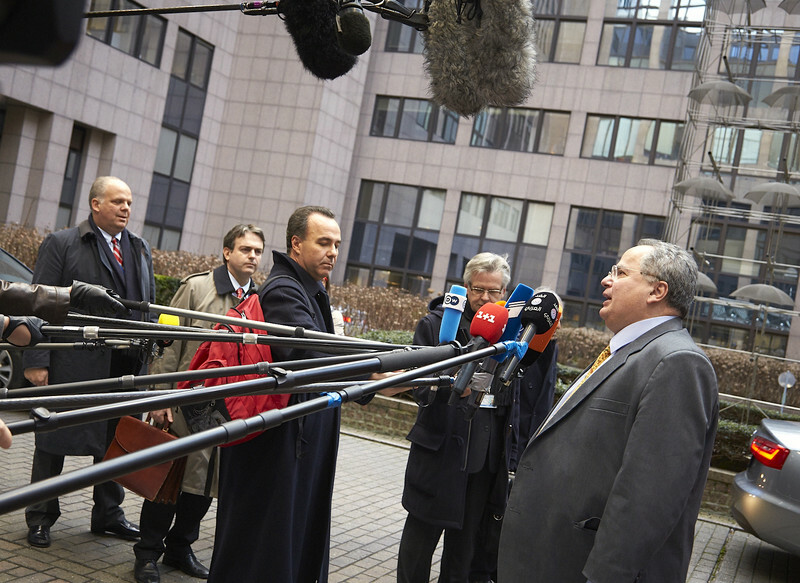 Kotzias said he was “open” to supporting Macedonia’s Nato and EU aspirations “as long as the name issue is resolved - this is the precondition”. “Greece wants the whole area of ​​the Western Balkans to become part of the euro-atlantic system”, he said. 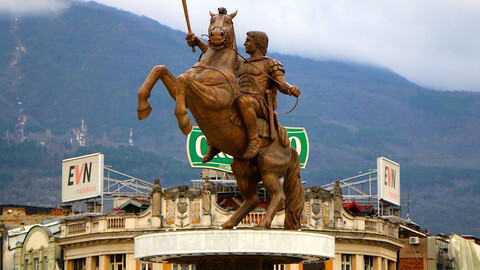 He blamed the previous Macedonian government for making a “big mistake” by transforming the name issue “from a geographic problem into an identity problem” via its nationalist pomp, such as erecting monuments which claimed that Alexander the Great was a Macedonian instead of a Greek hero. Greece has blocked Macedonia’s Nato integration and its opening of EU accession talks for over a decade on grounds that the name “Republic of Macedonia” implied a territorial claim to a Greek region called Macedonia. 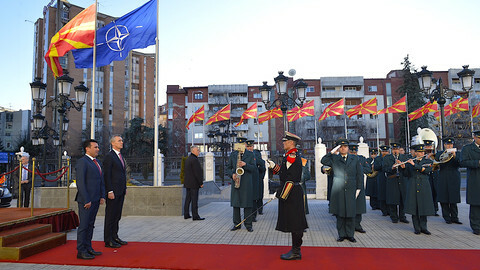 Dimitrov, whose government took office last month, had suggested prior to meeting Kotzias that Macedonia could join Nato under its provisional UN name, the Former Yugoslav Republic of Macedonia. 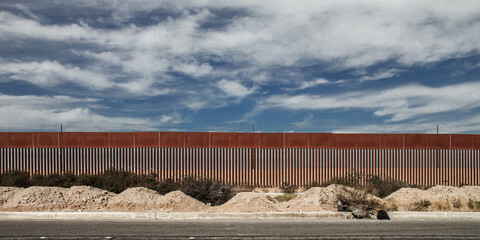 Both governments are held in check by nationalist forces at home, however. In Greece, Kotzias’ Syriza party relies on the nationalist Anel party to stay in power, while in Macedonia the opposition VMRO-DPMNE party roasted Dimitrov over the Nato proposal. Dimitrov indicated in Athens on Wednesday that the obstacles to a solution lay more on the Greek than on the Macedonian side. “I’m convinced that you have the leverage in your hands and that this leverage can help open the way towards closing the one open issue”, he said. He also said the previous Macedonian government had “damaged relations” with Greece. The two men agreed “confidence-building measures”, such as student exchange, and to hold further talks. “This was the first meeting. You don’t go dancing with someone right after the first meeting”, Dimitrov said. 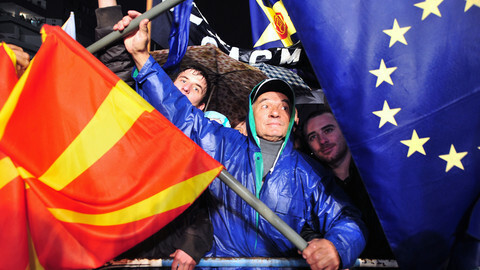 He said Macedonia was ready to start EU accession talks as soon as the Greek veto was lifted. 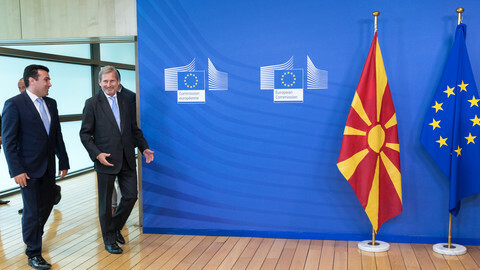 The EU granted Macedonia official candidate status in 2005. “Whether we are ready to join the EU, the answer is that we are not. But, we are ready, since a long time ago, to start accession negotiations,” he said. He added that it was “crucial” for Macedonia to also join Nato. “We’re a small, continental, and land-locked country, with a multi-ethnic composition that lies on a geopolitical line where many interests are cross-cutting. 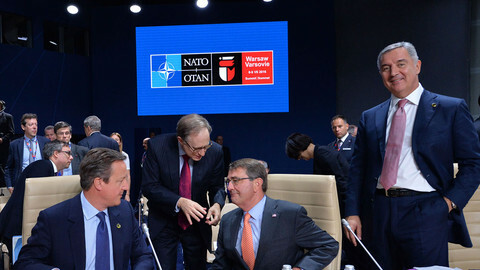 We have a vast interest to be part of a powerful Nato structure as a guarantor of our security,” he said. 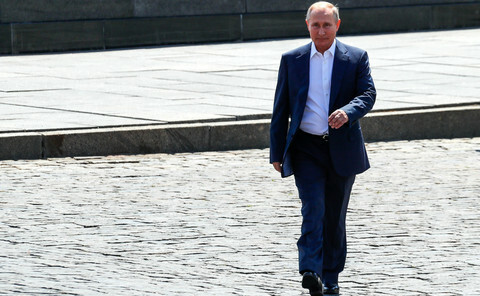 His reference to geopolitics came amid Russia’s campaign to restore influence in the Western Balkans. Russia stands accused, by the UK, among others, of having tried to stage an anti-Nato coup in Montenegro. 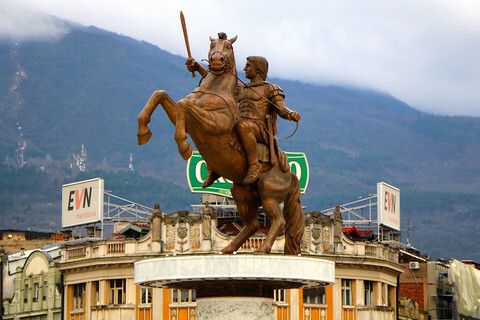 It also tried to enflame tension in Macedonia by saying that EU support for Dimitrov’s government was a plot to create a greater Albania, referring to the inclusion of ethnic Albanian parties in Macedonia’s ruling coalition. Kotzias said on Wednesday: “Greece is firmly in favour of the … non-intervention of third forces inside it [Macedonia], and my advice is, in many respects, not to try to interfere in our relationship”. “Our strong geopolitical, historical, and economic ties, since our independence, are with the Western world and euro-atlantic structures. We won’t let any country oppose our strategic interests,” he said.